You are here::Home/Articles for Families, CRAFT/Too Much Help!! If you have kids, you might remember a time when s/he was young and you felt really worried about how best to take care of your vulnerable child. When you were making so many important decisions – like when you introduce solid foods, or how to handle their first fight with a friend – you very likely got conflicting (but adamant, and often unsolicited) advice from your mother and step-mother and neighbor and co-worker and deli cashier. Everyone had an opinion, and everyone seems very happy to share it! As those important decisions shift from childhood worries to substance use, the level of stress increases exponentially, as does the weight of each decision you have to make. Now those same people who offered suggestions before are back, giving advice on how to help your loved one change. Often times they are trying to helpful, be compassionate, or show concern. Sometimes, however, despite having good intentions, others ideas about how you “should” be helping are so rigid that it can come off as pushy or condescending. 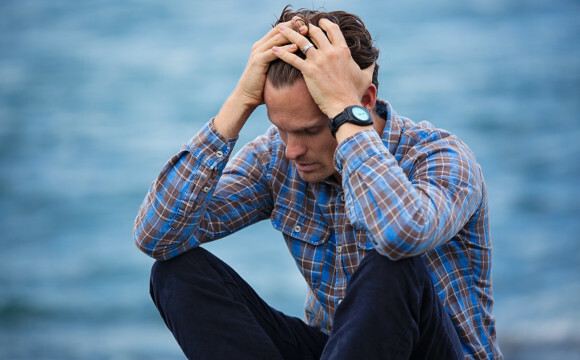 Substance use problems are stigmatized and misunderstood by most and it’s likely that at some point you will get suggestions or feedback from friends, family and even treatment providers that is misinformed (“you have to let them bottom out”), blaming (“you have to stop enabling”) or counter to your values (“kick him out”). In response to feedback about how to help that feels like it misses the mark, you may have a strong and understandable desire to withdraw and isolate from others. If you can resist this urge, however, there is a major payoff. Studies have shown time and time again that social connections during stressful periods have a profoundly positive impact on physical health and mental well-being. When someone is showing concern or compassion, it is likely worth your time to find ways of engaging other’s help even though it might not be your first instinct to ask for that support. To help their compassion feel like support however, you will likely need to problem solve and find ways to respond to the moments when the person you are interacting with is giving you unhelpful, unwanted advice. Planning your response to a difficult situation in advance, considering the person and context, can help you manage a delicate situation and keep your support system feeling supportive. Sometimes you might want to change the subject: “Hey, I’ve been meaning to ask you about whatever happened with your husband’s job!! How’s that going?”. Other times you may need to take a more direct limit-setting communication: “I’d actually rather not talk about it.“; “It’s really pretty complicated, I’m not up for going into it right now.” “I know you’re just showing concern, but that’s a whole thing I just can’t get into right now.” “That’s pretty personal.” “I understand you have strong feelings, but I’m dealing with this a different way.” “I’m not sure that your situation applies to me, but thanks.” These kinds of responses can help to keep you out of a struggle while also giving them feedback about what you want and/or need in the moment. You may find that you occasionally think, “When did it become okay for people to weigh in uninvited about how other people make decisions in their most intimate, personal relationships?? !” When you are under stress, saying something like that can be pretty appealing! It’s a way to push people away, and return to that withdrawal and isolation that can feel protective in the moment. The key is finding something you can pull out of your back pocket that you’ve decided, in advance, feels okay for you. At some point with your young children, you realized that while other people might have their own experiences you can learn from, in the end, you know your kid and your family best and have to avoid getting pulled in different directions based on what the next person has to say. And sometimes you have to really work to get people you love to stop interfering. Figuring out how to deal with people’s well-intentioned advice about your loved ones substance problem is a similar problem. Sometimes people don’t know they’re interfering, don’t know they’re increasing stress, and really just don’t know how to help – they need some direction to guide them in being helpful. Nicole Kosanke, PhD, is director of family services at CMC, where she specializes in working with family members of people abusing substances and in the assessment process for families and individuals with substance abuse issues. Dr Kosanke has been working in the research and clinical practice of substance abuse treatment for many years. She has most recently co-authored a book called Beyond Addiction (Scribner, February 18th) that is a compassionate and science-based family guide for navigating the addiction treatment world, understanding motivation, and training in the use of CRAFT skills. These practical skills include self-care, positive reinforcement, positive communication, and staying connected in a constructive, positive way to help your loved one. In 2007 Dr. Kosanke was featured in an O, The Oprah Magazine article about her client’s experience in treatment at CMC, which was later published in O’s Big Book of Happiness: The Best of O.